Looking for the best employee that you have ever hired? Then you have come to the right place! 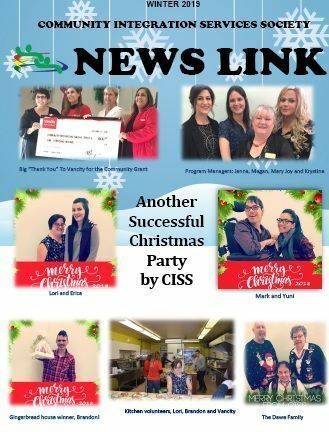 Community Integration Services Society (CISS) has consistently been a leader in efforts to support individuals with developmental disabilities to be active members of their own community. A basic element of living in the community is being able to contribute to one’s own self-sufficiency that is, being employed at a competitive wage. Office work: Scanning documents into computers, Shredding, Filing, Typing, Upgrading Operating Systems and Memory to Computers, Computer Virus Removal. Food preparation: Baking from scratch, Sandwich assembly, Creating Home Made Soup, Cutting, Chopping, and Mixing. Weighing and measuring items for packaging. Busing tables, supply replenishment, clearing, cleaning. Custodial work, cleaning – dusting, sweeping, vacuuming, mopping, deep cleaning. What can CISS do for you, the employer? If you think our clients can help your business, get in touch with us! Call us at 604 461 2131 between 8:00am – 3:30pm Monday to Friday. Send us an email and we’ll get in touch with you as soon as possible.